Posted November 7, 2017 by Phil Contrino & filed under News, Reel Blog. 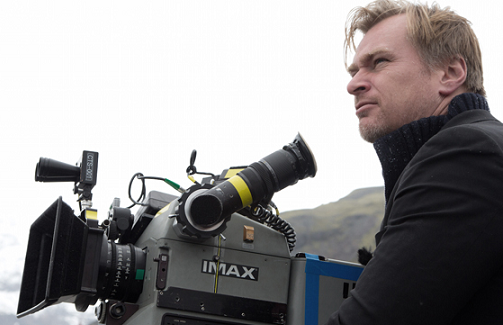 In a July 2017 interview with the Associated Press, Christopher Nolan held firm in his pro-theatrical stance. AP: Because you’re such an advocate of the big-screen experience, you’re often asked about concerns about the demise of movie theaters. Is that tiresome? Nolan: I will say it’s tiresome. Now it’s streaming. Last film, it was television. Ten years ago, it was video games. Look, video games are great. People love video games. But people also need and love washing machines and they sell a lot of those. It’s just not relevant. We’ve always had TV movies, we’ve always had miniseries, we’ve always had straight-to-video movies. We’re making movies for the theater. And theatrical experience isn’t just about the size of the screen or the technology behind, although that’s a big part of it. It’s about an audience, the shared experience. What cinema gives you, unlike any other medium, is this fascinating and wonderful tension and dialogue between this intensely subjective experience you’re having from the imagery the filmmaker has put up there, and this extraordinarily empathetic sharing of that with audience around you. It’s a remarkable medium for that and that’s what defines it. What’s a movie? The only definition of a movie, really, is it’s shown in a movie theater.